One thing people have requested countless times here on EQD is a better way to dig through the music posts here on Equestria Daily. With how much we have posted over the years, it's daunting to go through them with just the main three music tags we have up in the navigation bar. For the past year, I've been labeling music posts with genres even though we didn't have any formal way of quickly searching them. Right now, 2013 is currently being labeled (it takes a long time to go through the 3500 music posts we have up) but both 2014 and 2015 are ready to be searched. 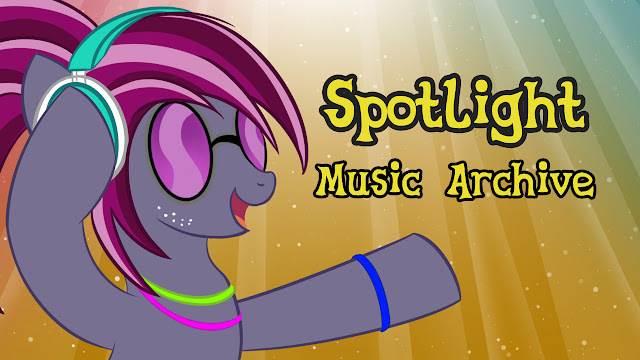 Most music posts on EQD have three songs of wildly different genres, but searching a specific genre below will still give you a list of posts with at least one song that fits it in each. Anyway, I'll shut up! Below the break, get every major music genre posted in Spotlight Music on EQD and discover some music with your specific tastes! Everything is pretty much fully functional, but we need your help to fill in any missing genres, wrong genres, or dead song links. We can also add more genres if you know of a song that has a unique one not on this list. As mentioned above, 2011, 2012, and half of 2013 still need to be updated, but if you want to speed things up on a specific oldschool song (or songs) feel free to send an email to [email protected] with a link to it's post and genre it needs.